Perdana Residence is an exclusive gated and guarded community developed on 8 acres of freehold land in Selayang, Selangor. Comprised 75 units of garden bungalow and semi-detached bungalow come in spacious layout designs. 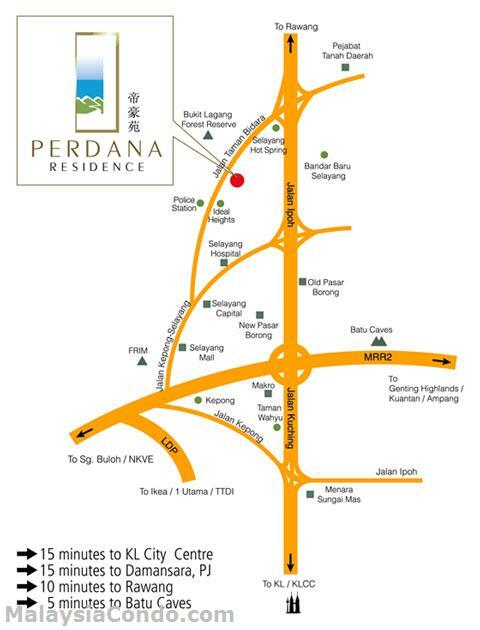 Perdana Residence is strategically located in an established township where public amenities such as shopping malls and hospital is just nearby. Easily accessible, only 15 minutes away from KL City Centre and Petaling Jaya.